Costa Brava , Catalonia is a coastal region of northeastern Spain, consisting of Alt Empordà, Baix Empordà and Selva, in the province of Girona. 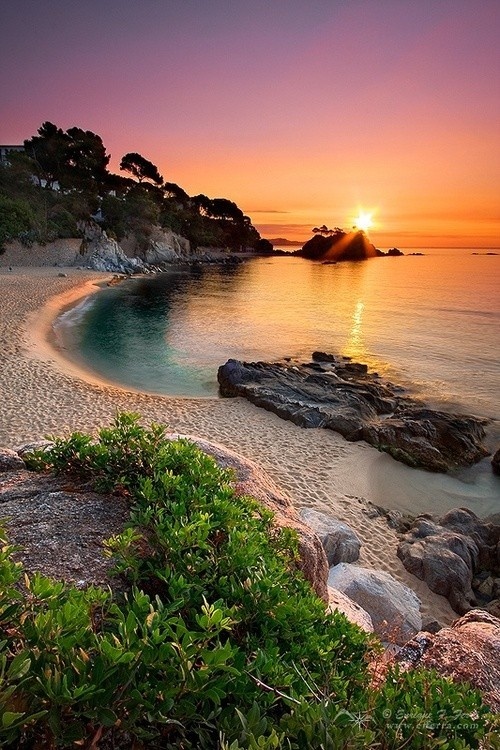 The Costa Brava stretches fromBlanes, 60 km (37 mi) northeast of Barcelona, to the French border. In the 1950s, the Costa Brava was identified by the Spanish government and local entrepreneurs as being suitable for substantial development as a holiday destination, mainly for package holiday tourists from Northern Europe and especially, theUnited Kingdom and France. The combination of a very good summer climate, nature, excellent beaches and a favourable foreign exchange rate, which made Spain a relatively inexpensive tourist destination, was exploited by the construction of large numbers of hotels and apartments in such seaside resorts as Blanes, Tossa de Mar, and Lloret de Mar. Tourism rapidly took over from fishing as the principal business of the area.